I LOVE watching my boys play together. 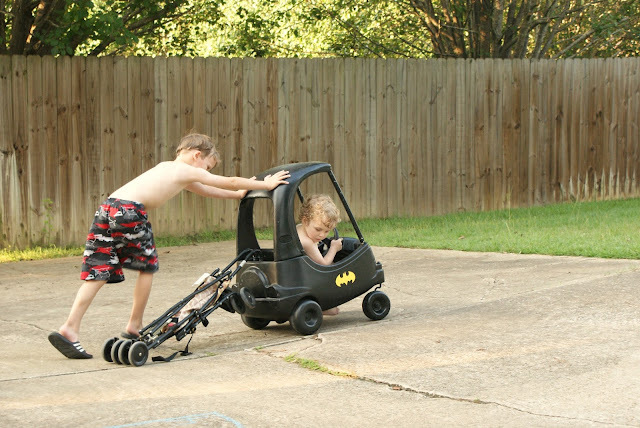 They have the best imagination and come up with some pretty cool things to do. The other day they were outside playing and asked me to come outside to "watch them race". 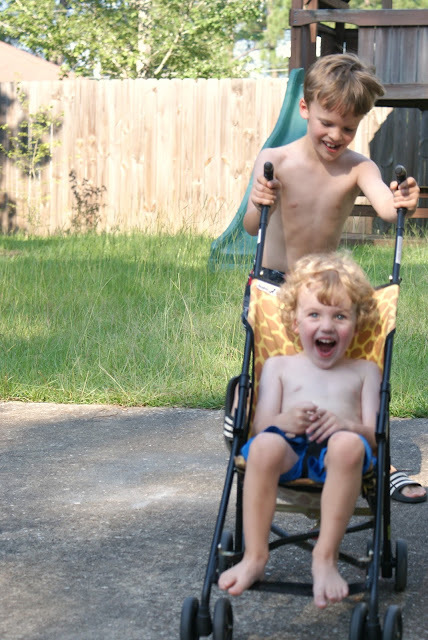 The stroller was the race car and Cade was the driver. He pushed Henry around and around our drive way. And then they loaded up and traveled to the next race. Do you think they have watched CARS much? Sweet Summer time!